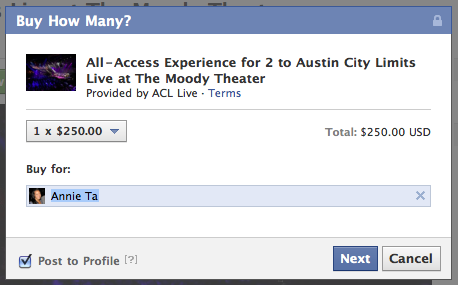 I am a little iffy on this product from Facebook personally. 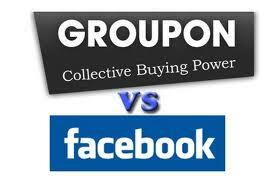 I mean Facebook Places (Check-in) really took the wind out of competitors like Foursquare, Gowalla and Yelp, but I just don’t see Facebook “Deals” overtaking Groupon’s strangle hold..You?? 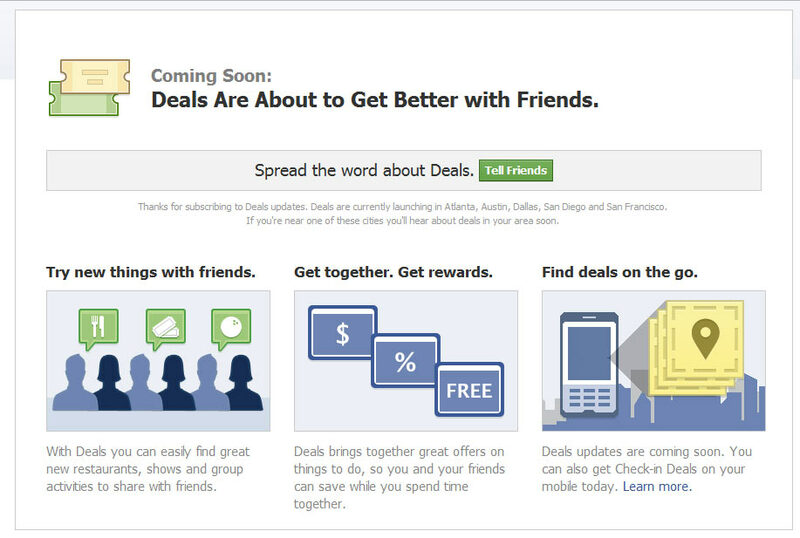 Users who opt into Deals will see opportunities specific to their geo locations. These ARE NOT check-in deals like mobile deals. 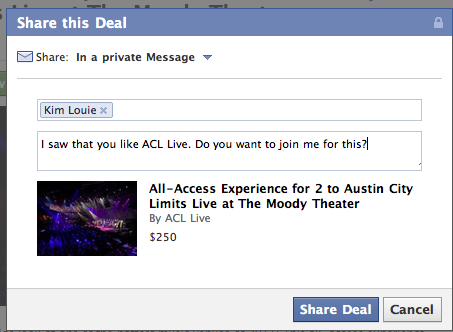 Offers will arrive via email or perhaps appear in the user’s news feed on Facebook. 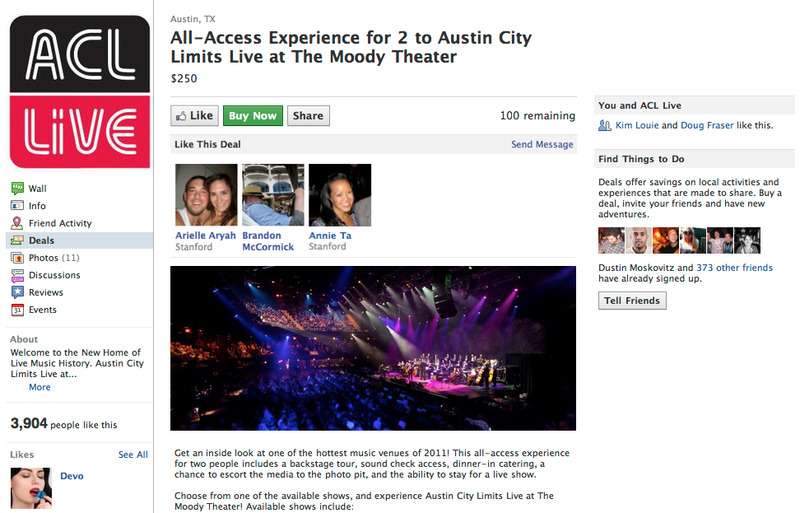 Users can “Like” a deal, share it via several channels on the site, or opt to buy it right away. If you purchase the Deal, you can even use Facebook credits, or your credit card….Hmm…you should see more of these FB credit cards popping up.